Nine strangers hoping to change their lives sign up for a wellness retreat that is far from what they expected. 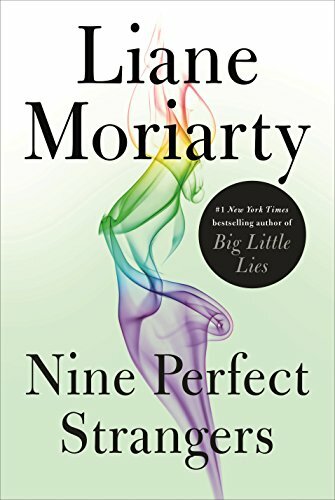 Liane Moriarty (BIG LITTLE LIES) once again hits all the right notes with NINE PERFECT STRANGERS. Satirical, poignant, humorous and suspenseful, the narrative probes into our obsession with wellness, as well as self-transformation as a means to mend what’s been broken in our lives. With her keen ability to write compelling characters, Moriarty draws us in to the lives of these nine people as we learn what’s brought them to Tranquillium House—a pricey wellness resort in Australia run by the spirited and seemingly unstable Masha. Some are hoping to lose weight, some are battling grief, some are hoping to fix a fraying relationship, but all are hoping to click reset on their lives in one way or another. Masha’s aberrant methods bring them closer together than expected, the 10-day retreat starting with the confiscation of contraband (alcohol, junk food), a blood test, and a silence period where guests cannot even make eye contact with each other. Things go off the rails quickly as guests realize they’re in Masha’s clutches… Masha, the 6-feet supermodel-looking Tranquilium House owner with significant issues of her own. I listened to the book on Audible, which I highly recommend, as the narration is fantastic. The real magic lies in Moriarty’s characters, and how deftly she’s able to explore the minutiae of their lives and the nuances of their thinking. While some characters may seem supercilious or shallow, they’re often relatable with problems parsed within the framework of today’s reality (i.e. do things really happen if it’s not captured on Instagram?). It’s a fun book to read (or listen to), with enough humor and suspense to make it a satisfying page turner.